Category: eBooks Tags: catholic church conspiracies, christianity. The Holy Family of Jesus as commonly depicted in religious art is a myth fabricated by the early Christian church. 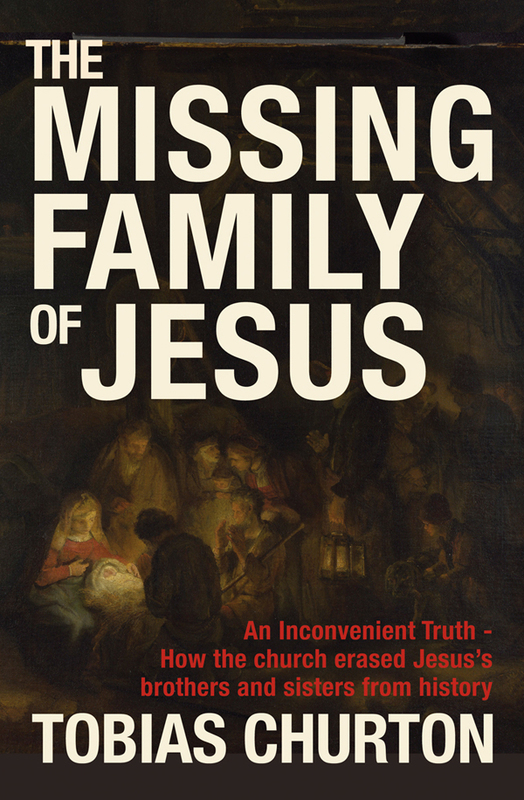 Explaining this assertion, Tobias Churton leads the reader on a fascinating and highly readable quest to discover all that is to be found in the historical sources about Jesus’ family background, parentage and siblings and the possibility of his having descendants. When Romanized Christianity decided to bend the historical facts about true early Christianity, Jesus was required to be the only son of God and to have been the product of a virgin birth, so that he could avoid the taint of original sin. Any inconvenient siblings had to be written out of history to prevent them from muddying the theological waters. Even today, in Catholic encyclopedias of the saints, St James the Just (the ‘Zadokite’), while regarded as Jesus’ brother by the majority of Church Fathers, is instead called the ‘son of Alphaeus’, deliberately obscuring any theologically compromising family relationship. This investigation is based on a thorough examination of a broad range of sources: the canonical evidence (Gospels and Epistles); apocryphal evidence including the Gnostic gospels and rejected works of early Christianity (including the Dead Sea Scrolls and the works of Josephus, Hegesippus and Eusebius); and myths and legends about ‘heirs’, known as the Desposynoi, who either travelled to France or remained in Palestine centuries after Jesus.